Spittin Toad: Garage Sale Find...Worth "Braggin" about! I also got those four wooden (Couch) feet for $1:00. I was planing in using them on another doggy bed...but wouldn't the make great pumpkins? Hmmm....What to do - What to do? How would you know it's me if there wasn't a chicken in at least one picture? I slipped the one in the background as an example...It holds a concrete pot I made, planted with Basil. 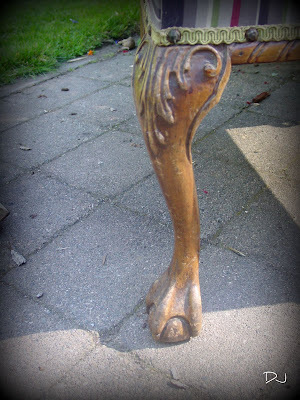 I added theses two pictures to show you the detail on the chair...I LOVE the acorn and the oak leaf on the arm!! 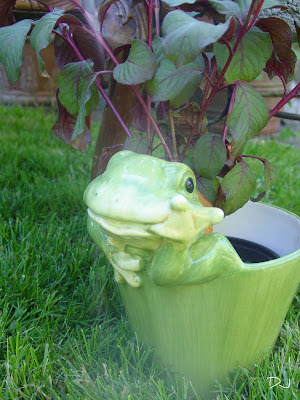 Ok...Here's the funny part...I paid $2:00 for the Frog Planter...They were asking $4:00...Go figure!?! Well...Thanks for letting me Brag!!! I will be linking up to many of those AWESOME Party's on my side bar!! What an amazing find... and for $1? Wow. I love the detail on the legs. Thanks for linking up to Share the Love Wednesday! What a wonderful find, love it! Well, really when it comes down to it I am jelly, lol! Wow, wow, wow!! Don't you just love finds like that. Great details on the chair. Brag away! Great chair! Cute kid and I like the chicken too. I'm so jealous! I've been looking high and low for a chair with those kind of details, and I can't find a thing, and especially not for $1! As for the feet-- save them! Put them on a dresser! Those bad boys are $8 a piece! Those are really awesome bargains! That chair has to be the deal of the century! Amazing, even if you had paid 10 times that amount. Wow! Those are some amazing finds and one very handsome son you have! That shot DOES look like a magazine picture! When I first saw the 'feet' I thought they WERE pumpkins -- I agree, they'd be perfect for that! 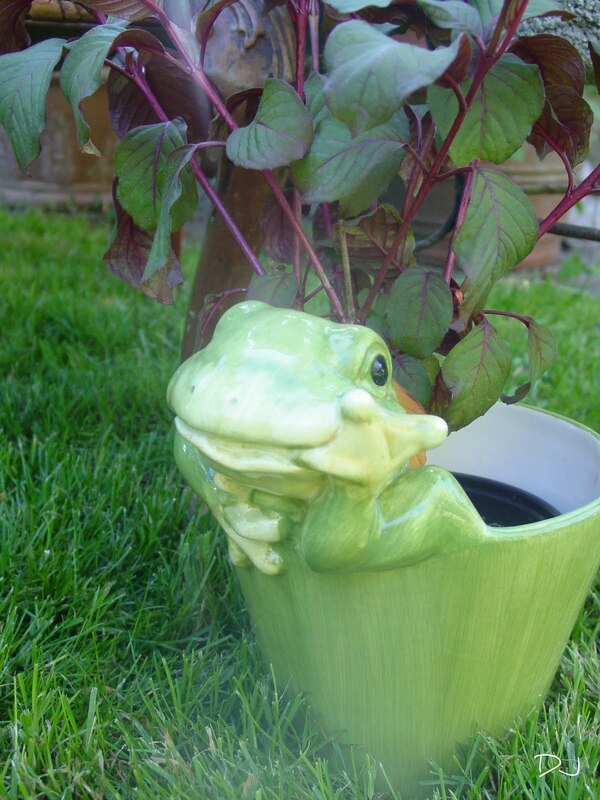 Too funny about that frog planter being $4.00 -- guess everyone places different value on things, right? Awesome finds! Love that chair with those pretty details; never would have thought about bun feet as pumpkins--sweet idea. I'm ready to do something creative today! Great post. Your post is featured this week on Share the Love Wednesday--thanks so much for linking up last week! Stop by and grab a feature button. Looks like I've found another kindred spirit! Great find!